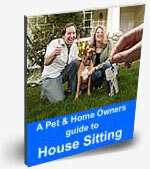 Below are house sitting questions and answers specifically for house sitters. Q: Will I get a House sitting job? A: There are too many variables to guarantee anyone employment as a house sitter using our service. Things such as location choice, location flexibility, date flexibility, duration flexibility and how your profile is perceived, all play a part. Each Home Owners needs and expectations are different and ultimately they choose whom think will most suite their requirements. Q: Do we get paid for House sitting? A: Not usually, but everything is negotiable between you and the Home Owner. In the majority of cases it’s a straight swap where House Sitters care for the house and pets in exchange for free accommodation. However there maybe exceptions when a homeowner will offer some money for the house sitting position. Q: Does the House sitter pay rent to the Home Owner? A: No, in the majority of cases the House Sitter pays no rent . Q: Do you get long term House Sitting positions? A: Yes some can be. House sitting positions can be anything from 1 day to 2 or more years but generally the length of a House Sitting position varies between 1 week and 4 months although it's not uncommon for them to be 6 to 12 months. Q: Who pays for the utility costs (electricity, gas, etc)? A: Usually the House sitter pays for what they use although sometimes special circumstances may apply where these expenses are met by the householder. Everything is negotiable. 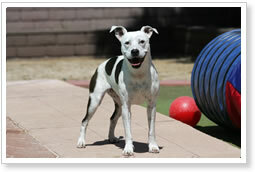 Q: Can I mind a home with my pet? A: That’s up to the Home Owner, some don’t mind while others don’t like strange pets in their homes. It is a matter for discussion between both parties. Q: How long does it take before a House Sitter can contact Home Owners? A: Registering on the site and taking up the House Sitter membership option is quick and easy. Once registered you are able to contact Home Owners immediately. Q: Can I mind a house with my family? A: Yes but the not all Home Owners want families in their homes – others are happy to have children so their pets get extra attention. Q: I live outside the country can I still join as a House Sitter? A: You can pay by credit card or debit card. We use PayPal’s secure online payment gateway. You do not need to be registered with PayPal or need to be a PayPal member to be able to use your cards. Q: How do House Sitters contact Home Owners? A: You need to first register with us and then choose to become a member of our House Sitters program. Once you are a member all Home Owners advertisements will now show a messaging window which you can use to send them a private message. You will also be able to access the form enabling you to list your details in our House Sitters database. Q: Do you send out renewal reminders? A: Yes, we email reminder notices a few weeks before your membership expires. 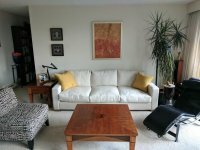 Q: Is there a disadvantage to being a first time House Sitter? A: Most Home Owners will consider first time House Sitters. There are many qualities a person brings to the job and just because you may be new it doesn't mean you will not be as good a House sitter as someone who is experienced. Q: What is a Police Check and where can I get one? A: A police clearance or police check is an official document stating you have no criminal record. In Australia you can either call in at your local police station and fill out a form or search on line for the term "police check" or "police clearance" followed by your State. The form and copies of proof of identity, needs to be endorsed by a JP and sent off with payment to the relevant authority. The fee is around $25 to $45 depending on which state you are in.